At VA, we are fortunate to have such a noble mission – caring for those who have served and sacrificed on our behalf. And we do it remarkably well. 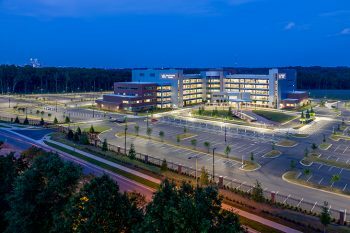 A recent Dartmouth study found VA hospitals outperform the private sector in most health care markets throughout the country. 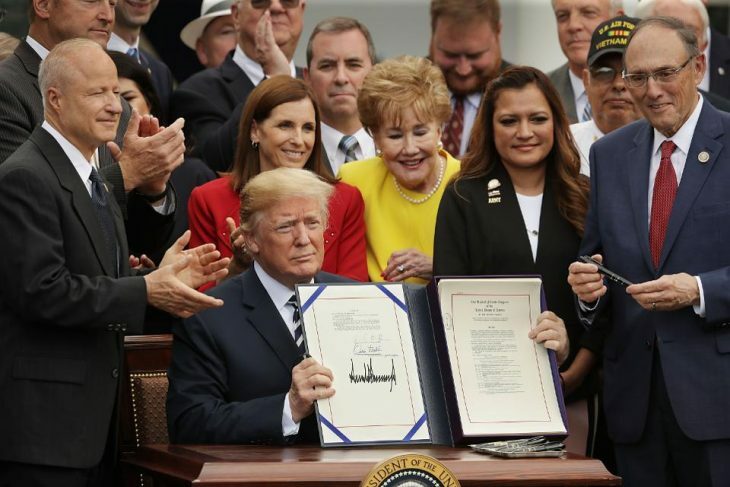 Congress and President Trump have made Veterans a top priority and taken significant steps to strengthen VA’s ability to deliver the quality care and timely service Veterans deserve. Our record $200 billion budget along with major legislation such as the VA MISSION Act of 2018 (MISSION Act) make clear that it is not business as usual for VA. Consolidating VA community care programs into a single program that provides more access to care and is much easier to navigate. Expanding eligibility for the Program of Comprehensive Assistance for Family Caregivers. Strengthening VA’s ability to recruit and retain the best medical providers. One of the key objectives of the MISSION Act is to ensure Veterans have access to health care where and when they need it. Even before the law was passed, VA made major strides in expanding access to care. Since 2014, the number of annual appointments for VA care is up by 3.4 million, with over 58 million appointments in VA facilities last fiscal year. Simply put, more Veterans are choosing to receive their health care at VA.
We now offer same day services for primary care and mental health, and Veterans can directly schedule appointments in mental health, audiology, optometry, podiatry, nutrition, wheelchair and amputation care clinics without a referral. Patients’ trust in VA care has skyrocketed – currently at 87.7 percent – and VA wait times are shorter than those in the private sector in primary care and two of three specialty care areas. In other words, VA is seeing more patients than ever before, more quickly than ever before, and Veterans are more satisfied with their care than they have been previously. The MISSION Act authorizes VA providers to use telehealth technologies to deliver care over state lines and into Veteran’s home, allowing VA to enhance the accessibility, capacity, and quality of VA health care. It also directs VA to implement a pilot program to establish mobile deployment teams to address and improve care in underserved areas. VA has been delivering care through community providers for decades, but the programs have grown in number and complexity over the years, making them complicated to access and administer. The MISSION Act will consolidate VA’s numerous community care programs, including Veterans Choice, into a new program that is easier to navigate for Veterans and their families, community providers, and VA employees. As part of this process, VA is establishing access standards and standards for quality that will apply to VA facilities and community providers. The proposed access standards were announced January 30. They are based on analysis of best practices in government and the private sector and tailored to the needs of Veterans. Veterans who access community care can expect a familiar process with several improvements through a new urgent care benefit, expanded eligibility criteria, and improved quality of care. Community providers can expect their interaction with VA will get easier with new IT systems, better communications, and more timely payments. We are leading the health care industry in transparency by enabling Veterans to compare data across VA and the private sector so they can make informed decisions when selecting a provider. 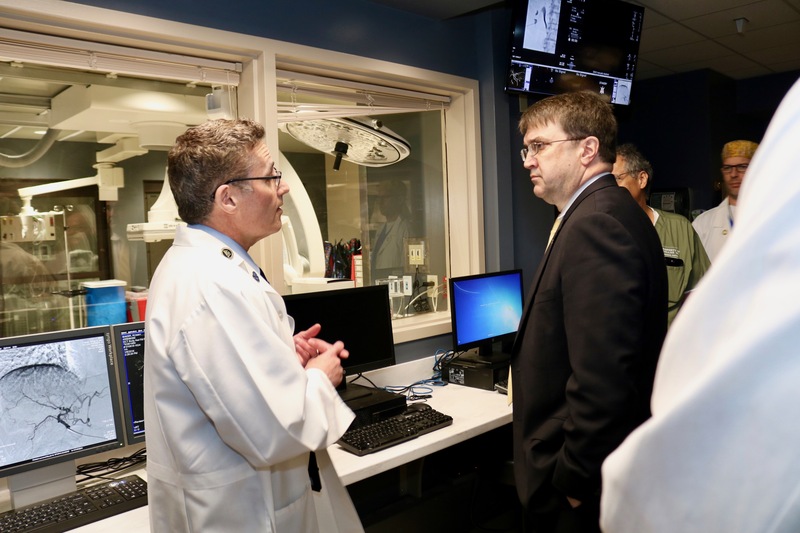 As Secretary Wilkie said in a recent statement, we are giving Veterans the power to choose the care they trust, and more Veterans are choosing VA for their health care than ever before. The MISSION Act will expand eligibility for VA’s Program of Comprehensive Assistance for Family Caregivers (PCAFC) under the Caregiver Support Program. Originally, this benefit program was only offered to eligible Veterans who incurred or aggravated a serious injury in the line of duty on or after September 11, 2001. The MISSION Act expands eligibility to eligible Veterans and their caregivers from all eras. Under the law, expansion will begin when VA certifies to Congress that VA has fully implemented a required information technology system. The expansion will occur in two phases beginning with eligible Veterans who incurred or aggravated a serious injury in the line of duty on or before May 7, 1975, with further expansion beginning two years later. VA is working to establish required systems and regulations to improve PCAFC and implement changes required by the MISSION Act. Caregivers and Veterans can learn about the full range of available support and programs available through the Caregiver Support Program by visiting the Caregivers Support Program website or by contacting the Caregiver Support Line toll-free at 1-855-260-3274. The MISSION Act gives VA greater ability to recruit and retain the best medical providers through greater access to an education debt reduction program and improved flexibility for bonuses for recruitment, relocation and retention. Increasing the maximum amount of VA’s education debt reduction program from $120,000 to $200,000 over five years, not to exceed $40,000 per year, and authorizes the program to be used as a recruitment and retention tool for Vet Center employees serving in mental health positions. Directing VA to pilot a scholarship program for eligible Veterans to receive medical training in return for serving in a VA hospital or clinic for four years. Establishing peer specialists on VA Patient Aligned Care Teams in at least 15 VA medical centers by May 31, 2019, and in at least 30 VA medical centers by May 31, 2020, to promote integration of services for mental health, substance use disorder, and behavioral health in a primary care setting. The VA Health Care Center in Charlotte, N.C. The MISSION Act will strengthen our ability to manage our real property portfolio and align our infrastructure with the needs of America’s Veterans. It does this by establishing an independent nine-member Asset and Infrastructure Review Commission (the “AIR Commission”) consisting of Commissioners nominated by the President and confirmed by the Senate. Nominations must be provided to the Senate by May 31, 2021. The AIR Commission will hold public hearings during calendar years 2022 and 2023 on VA’s recommendations regarding the modernization or realignment of VHA facilities. The AIR Commission will terminate on December 31, 2023. As we implement the MISSION Act, we are building VA into a system we can all be proud of. My father chose VA, and I know how much it meant to him to have a trusted team of professionals delivering his care. Those who devote their lives to the defense of our nation deserve no less. Dr. Melissa Glynn serves as the assistant secretary for Enterprise Integration (OEI) and is responsible for leading efforts to continuously improve VA operations. Her office focuses on enhancing Veterans and employee experiences through effective enterprise integration and execution support of people, processes, technology, innovations and maturing management capabilities. This needs some serious overhaul. 1. They need to be paid more timely. 2. They need to be paid at fair and reasonable fees. 3. Health Care should not be only about discounting fees. I have tired to help a highly qualified provider understand what his office needs to do in working with the VA. There needs to be a place a new provider can get answers to their questions. When is the urgent care part going to be implemented in Guam? 1. When is the urgent care program going to be implemented for veterans in Guam? 2. When is the caregiver support program going to be expanded and implemented in Guam? Please make this work. I’ve waited 43 years for treatment. After obtaining benefits and a rating of 100% IU, I still cannot receive the healthcare I truly need. Having sleep apnea and narcolepsy issues I can’t drive two hours to the VAMC. They are unwilling to provide transportation. If I wait till next year when I turn 65, I’ll just get a medicare Supplement and finally get the help I’ve been waiting for the VA to provide. If I live that long. I’ve been on the VA surgical waitlist for a broken Patella since: OCT2010. My recent MRI shows that I am no longer a candidate for knee replacement. My knee is so fragmented: arthritic, and painful that reconstructive surgery is now the only option. Having to wait another year to turn 65 to finally get treatment for my knee makes me wonder. Where are ALL the Billions going that Congress mandates healthcare for people like me (Disabled Marine Corps Veterans). Why not make it like Medicare if you want to stay with the VA great but if not let us chose our own plans and the VA pay for those plans. You have Choice now. Go to a non-VA and the VA will pay.